A relationship founded on simplifying and expediting cryptocurrency exchange. <HONG KONG, March 7, 2018> — Monaco, the pioneering payments and cryptocurrency platform, today announces that its MCO token will be listed on COBINHOOD, the world’s first zero trading fees cryptocurrency exchange, on Thursday, March 8, 2018. 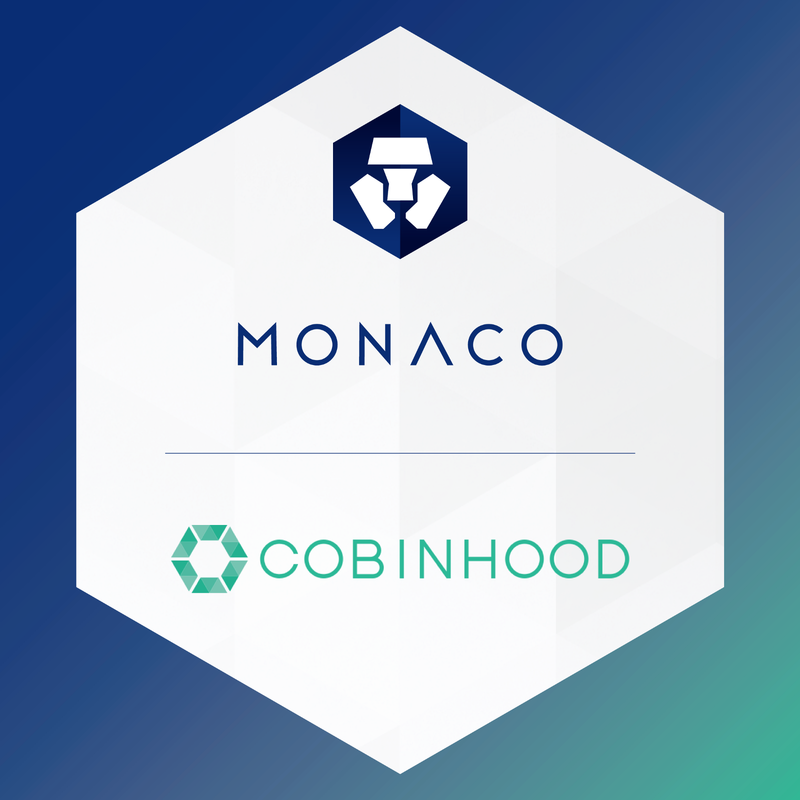 The listing on COBINHOOD continues Monaco’s effort to build out access to the MCO token and provide peace of mind from a security perspective. This listing brings the number of exchanges the MCO token is traded on to a total of 19. The MCO token will begin trading on COBINHOOD on Thursday, March 8, 2018. COBINHOOD is a next-generation cryptocurrency service platform. COBINHOOD is home to the world’s first zero-fee, high-frequency cryptocurrency trading platform. The company was founded by Popo Chen, the original founder of ’17 Media’, with the intention of shaping future economies by creating a financial center for the blockchain era. COBINHOOD believes the evolution of blockchain technology and a decentralized financial landscape will transform global capital markets and business organizations with long lasting impact.